Wall construction isn’t what it used to be, and that’s a good thing. Building codes across Canada are demanding more than the old R20 minimum insulation levels for walls, but this doesn’t always happen the way it should in the real world. Here’s the technical low-down on four code-compliant wall options, with pros and cons for each. This might not be easy reading, but knowing what’s available will help you choose more wisely. One way of building beyond R20 is with high-performance batts in regular wood frame walls, and this approach offers several advantages. First, the framing procedure is the same as it’s always been, with no new tricks for your contractor to learn. Vapour barrier installation happens the same way as always, so building inspectors won’t have any questions. As popular as it still is, wood frame walls have disadvantages that familiarity may blind your builder to. They do cost more than at least one other kind of wall offering equivalent energy performance (see below “R17 SIPs Equal R24 Batts”), and hollow, stud wall designs of any sort are susceptible to internal moisture condensation and mold growth. As homes get tighter, mold risk increases, along with health risks. Also, since more than 10% of the surface area of wood frame walls have continuous studs and plates extending from outside to inside surfaces, increased conductive energy losses happen through thermal bridging. It can also be more challenging than most contractors realize to achieve low air infiltration numbers with wood frames. If you’re going to go with batts, then you should try stone wool types if you haven’t yet. They’re firmer than fiberglass and more impervious to water absorption. Stone wool batts are also virtually dustless and it’s possible to cut them quite precisely. 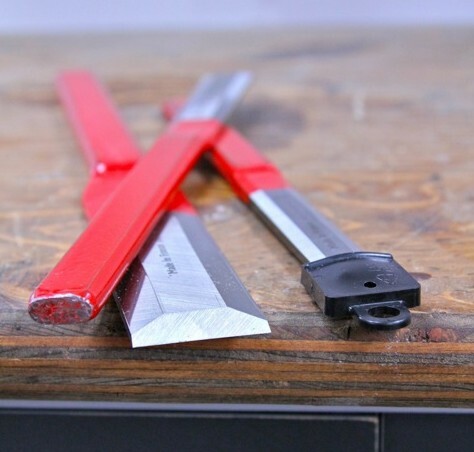 A serrated knife makes it easy to work down to 1/4” tolerances. Roxul is the big name in stone wool batts world-wide (www.roxul.com; 800-265-6878). Like high-performance batts, inspectors are used to this so they won’t give this approach a second look. Exterior insulation cladding on the outside of batt-insulated walls improves on the batt-only strategy because it reduces chances of wall condensation by preserving higher temperatures inside wall cavities. 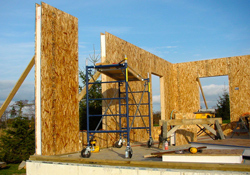 Exterior insulation sheathing also blocks heat loss through studs. Installing exterior insulation does involve another construction step, but there’s something more important to consider. If you use sheet foam or another air-impervious material on the exterior side of the wall, it increases the risk of trapped condensation inside wall cavities. The problem arises from having what amounts to two vapour barriers on the wall – the 6 mil poly on the warm side of the frame, and non-breathable insulation on the cold, exterior side. If moist, indoor air does make its way into the wall cavity through a flaw in the interior vapour barrier, internal condensation can’t always diffuse easily enough to the outdoors through the exterior insulation cladding the way it can with typical framing. One way around this danger is by using an exterior wall insulation sheathing that lets vapour pass through it. Roxul’s ComfortBoard IS is the latest and most widely distributed rigid stone wool board of its kind. Available in 1 1/4”, 1 1/2”, 2” and 3” thicknesses up to 48” x 96” sheet size. At a density of 8 lbs. per cubic foot, this product is also stiff enough to support wooden strapping fastened directly on top for support of wall siding. Spray foam offers terrific energy performance and excellent air sealing, but filling entire wall cavities with the stuff is beyond the building budget of many clients. One growing alternative is to spray an inch or so of foam against the inside face of the sheathing to seal it, then install batts in the rest of the cavity. This costs less and seems good, but this practice can also be dangerous. Condensation risk is the reason why. If there’s any leak in the poly vapour barrier on the warm side of the wall, internal air will get into the wall cavity. It happens all the time, and even with the spray foam on the cold side of the wall, leaked internal air could still condense inside the cavity during cold weather, with no way to escape outside because of the spray foam. This is why a safer option for gaining the benefits of spray foam at lower cost involves putting in a thinner layer of batt insulation into the wall cavity first, followed by spray foam on top, on the warm side. This still provides great air sealing, while also eliminating the possibility of trapped condensation. You should still apply 6 mil poly vapour barrier on the warm side of the wall, but foam enhances the performance of the assembly substantially. The only hitch is that spray foam can typically only be applied over the more rigid types of stone wool insulation batts. 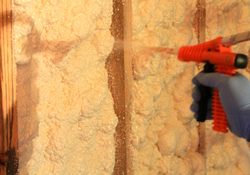 Besides being more pleasant to work with, Roxul’s ComfortBatt is the most widely available batt with sufficient density for use under spray foam. Structural insulated panels (SIPs) go up faster than any other method of wall construction, and low air infiltration is virtually automatic. It’s actually quite difficult to build a drafty structure with SIPs, so low air change per hour (ACH) numbers are a given. Since SIPs are sandwiches of foam and sheet goods, there’s no need to sink screws into studs, making drywall installation easier. There’s no nail-pop hazard either, since the OSB sheathing of SIPs is drier and more stable than framing lumber that’s typically 15% to 20% moisture. Practical benefits of SIPs include the fact that they’re 3X stronger than wood frame walls, and structures build with them typically use 30% to 50% less energy than structures with the same R values delivered in other ways. You can also hang pictures, shelves and fixtures anywhere on a wall, without need for plastic anchors. How important is it for your new home or renovation to perform efficiently? If you’re like most homeowners, it’s getting to be a pretty important part of what we want our homes to deliver. 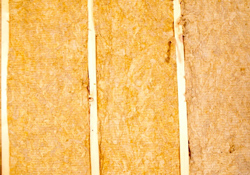 A field study released in February 2013 by Dr. Tony Shaw of Brock University shows that 4 1/2”-thick SIP walls rated at R17 provide energy performance superior to R22 fiberglass wood frame walls, and the same performance as wood frame walls insulated with R24 fiberglass batts. That’s significant news because R17 walls costs less to build than these other options. So how come R values don’t translate into real world energy performance? And how do you get any building inspector to let you build with R17 walls in a world where R22 or R24 is legislated? R-values don’t paint a complete picture of any insulation product because R values only evaluate conductive energy transfer through physical contact. R-values and the codes built around them don’t account for energy transfer via convective air movement, and this makes all the difference. If you’ve followed up on the energy performance of your projects, you’ve probably noticed how, for instance, foam-insulated structures perform better than other kinds, R values being equal. The reason is simple. Any insulation that lets air move through it lets energy escape by convection, and that’s not part of R value ratings. So what will the building department say when you propose to use R17 walls in an R22 or R24 world? Technically speaking, there’s no grounds for objection. Since R17 SIP walls have been shown to perform “as good as” or better than the R22 or R24 fibreglass wood frame wall, you’re covered.